So it has all come to a frustrating and ultimately disappointing end. Finally Mario says arrivederci to the Kop . For Liverpool the latest episode of the Balotelli show began with hope, excitement and promises. We are told that upon signing Mario gave undertakings to put his wild past behind him and knuckle down. Alas these were promises that the player failed to keep. Perhaps with the benefit of hindsight it all seems so predictable, but that’s not how most of us felt when we signed the mercurial Italian. Many Reds, myself included, embraced the signing of Mario Balotelli last summer. Even those who questioned the move had to concede that, if he could just learn to use his powers for good instead of evil, at £16 million he represented a gamble worth taking. 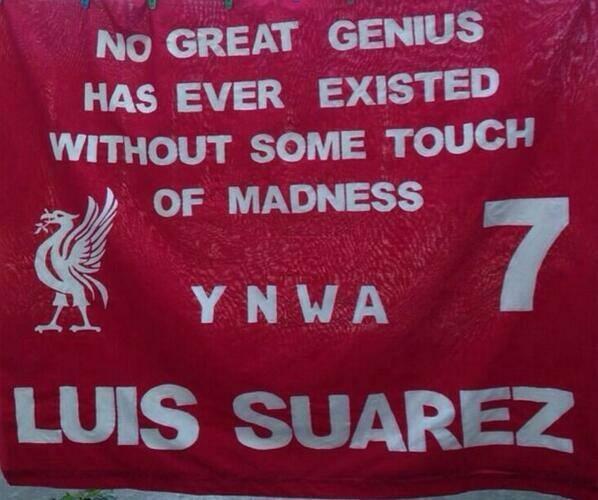 Liverpool fans love a flawed genius. They recognise that the gap between madness and utter brilliance can often be infinitesimally small. This is why we still love Luis Suarez. When watching in awe as he destroyed defenders, pulled off impossible nutmegs and scored sublime goals, you always knew that lurking deep within him were demons fighting to take control. It was only a matter of time before they would surface and all hell would break loose. We didn’t mind too much, because the presence of ‘el pistolero’ in the first eleven elevated Liverpool way beyond their station. Sadly with Mario there are no devils lurking within. There is no Mr Hyde waiting to take him over. In Mario’s case the monsters are always at the surface and he is perennially possessed by Hyde. To be fair to him there were signs very early on that he was prepared to embrace yet another ‘last chance’ at a big club. The game against Tottenham last season showed that, when paired with Sturridge, he could help deliver the goals we so desperately missed following the departure of Suarez. Frustratingly Sturridge broke down and spent the season on the sidelines; condemning us all to a lifetime of ‘what ifs’. Many complained that Rodgers then chose to persist with Mario as a lone striker; a position for which he was wholly unsuited. Why didn’t Brendan partner him with Borini or Lambert? I count myself amongst the perplexed on this score. Mario seemed to come to life on those rare occasion when his manager provided him with a strike partner. There was a great deal of sympathy for the striker’s plight. Seemingly disrespected by his manager, he was seen as a world-class talent languishing on the bench. Worse still he sometimes didn’t even merit a place in the squad at all. We all desperately wanted to see him marauding around Anfield and pitches up and down the country. Instead he spent most of his energy creating cryptic posts on Instagram. It all seems such a terrible waste. Of course we were all waiting for the ‘real Mario’ to step forward. We were convinced that there was a ‘fantastico’ waiting to break free. If only Rodgers would let loose the chains. 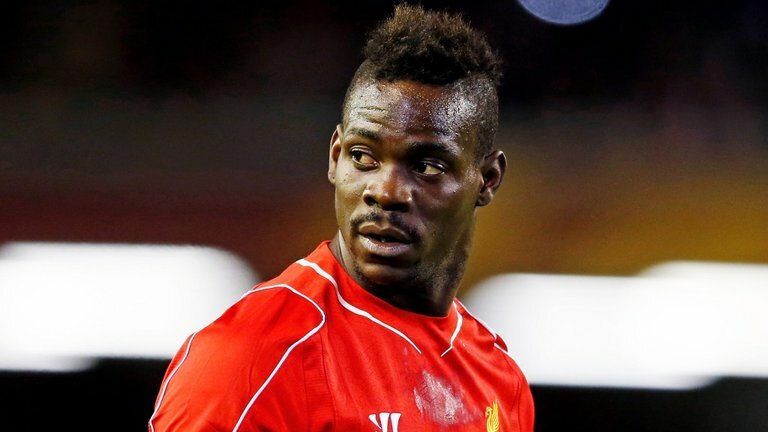 We didn’t realise that the boss and many of Balotelli’s Liverpool team-mates had already seen the real Mario at Melwood and it was far from ‘magnifico’. At some point the manager decided enough was enough, but should he or could he have seen this coming? It has always interested me that, just a matter of days before Balotelli became a Red, Brendan emphatically stated that he would not. Was the player signed against Brendan’s wishes? Or was this a last resort signing? Faced with missing out on all of his preferred targets, did Brendan allow himself to be persuaded to take a chance on Mario against his better judgement? Judging by snippets in the local press, probably gleaned from club briefings, it would seem that the latter was the most likely explanation. We have been treated to a surprising amount of detail about the player’s transgressions during training sessions at Melwood. It seems Brendan was onto a loser from the start. If Rodgers did back his own man-management skills to get the best out of a serial underachiever like Balotelli, he certainly finds himself in good company. Many have tried and failed. Mourinho, Allegri and Mancini all described him as potentially one of the best talents in world football. Sadly they all almost went hairless trying to coach that prodigious talent into his game. Each of them were forced to let him go after failing to get the player to see he was wasting his gifts. This for me is one of the most astonishing aspects of Mario’s career to date. The fact that so many top managers and clubs have been willing to take a chance on him and in the case of AC Milan twice! To be fair taking him on loan, with the Reds covering a proportion of his wages limits their exposure, but he surely represents a risk; if only in terms of team spirit. Apparently this is “absolutely Mario’s last chance”. He’s heard that before though. I hope he does finally prove what a great player he really is, if only to maximise any potential fee Liverpool may eventually receive for him. I’m not optimistic though. For us we have no choice but to move on. We chalk yet another failed transfer gamble up to experience and hope that this time we actually learn from it.